Americans have grown accustomed to broken promises from politicians. And yet, some lapses are so striking that they can muster indignation from even the most jaded political observer. Case in point: President Obama’s personal assurances to 9/11 family members—on two separate occasions—that he would declassify a 28-page finding on foreign government support of the hijackers. It’s one thing to neglect a broad policy promise made in the heat of an election, and another thing altogether to renege on a personal commitment to 9/11 family members—but that’s precisely what Obama is doing, based on accounts provided by Kristen Breitweiser and Bill Doyle, who each lost loved ones in the September 11 attacks. Obama “said absolutely, I don’t see why not. The bottom line is he agreed to do it, and he gave me and the rest of the world his promise,” Breitweiser said. Bill Doyle’s recollection of his chat with President Obama remains crystal clear. To mark bin Laden’s demise, Obama had laid a wreath at the former site of the World Trade Center on May 5, 2011, and met later in the day with families of victims of the Sept. 11 terrorist attacks at a reception near ground zero. 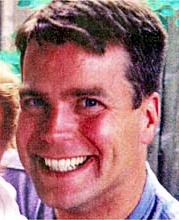 The president stopped at Doyle’s table midway through the event, and Doyle asked when the government would make public portions of a congressional investigation that weighed evidence that Saudi Arabia provided support to the 9/11 hijackers. “He said, ‘Bill, I will get them released,’ ” Doyle recalled. Some presidential promises require a cooperative Congress, but this isn’t one of them. To honor his commitment, Obama doesn’t need to line up votes—all that’s required is a single stroke of his presidential pen. Given his previous warnings to Congress that he’s willing to use that same pen in ways that are constitutionally controversial, it’s particularly jarring that he would fail to act in this situation, where his authority is unquestioned. The families of September 11 victims and their fellow citizens deserve to know what the U.S. government has learned about who enabled the 9/11 attacks—and what the CIA, FBI and other agencies did with the intelligence they had before that day. An increasingly wide variety of present and former government officials agree, including the Chairman and Vice Chairman of the 9/11 Commission, and the Republican and Democratic co-sponsors of House Resolution 428, which urges the President to declassify the 28 pages. 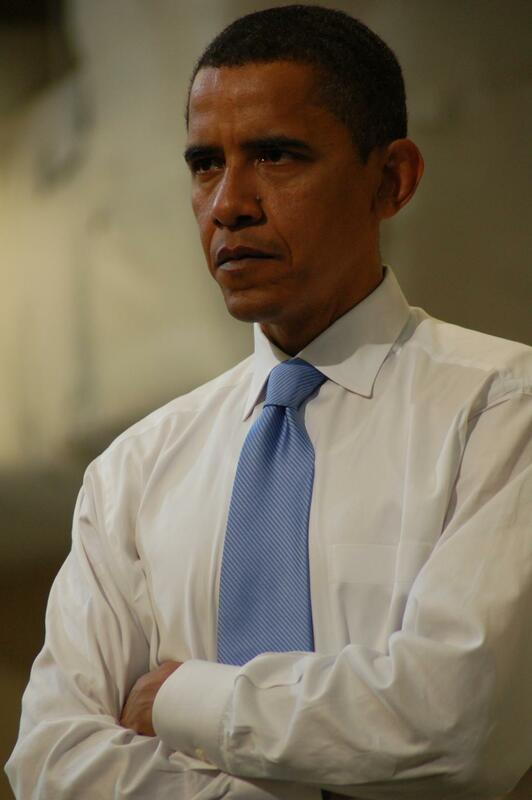 According to Rep. Thomas Massie—who read the 28 pages and described the experience as “disturbing”—declassifying the redacted finding wouldn’t jeopardize national security, but would trigger “anger, frustration and embarrassment.” If so, it appears Obama’s decision about declassifying the 28 pages values his own convenience more than his personal pledges to those most profoundly affected by 9/11. 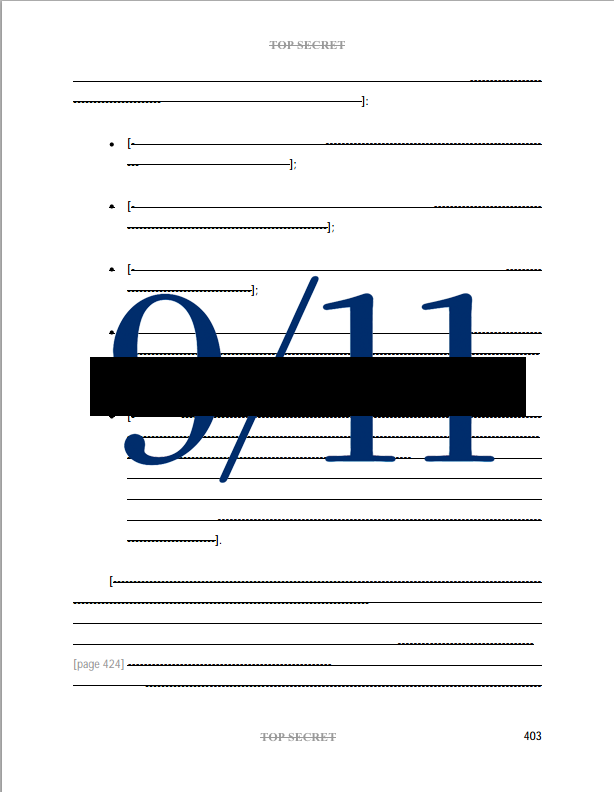 28Pages.org is committed to bringing the redacted intelligence finding on foreign government support of the 9/11 hijackers to light. Add your own voice to the growing, bipartisan movement to declassify the 28 pages today. Call the White House and ask President Obama to honor his commitment. Then call your House representative and urge them to cosponsor H.Res.14—our handy guide makes it easy. Call Congress today and help bring the 28 pages into daylight. Keep up with the drive to declassify: Follow us on Twitter and Facebook. This administration is corrupt regarding the Mideast, especially on what is presently taken place. Obama’s last press conference he has no strategy regarding Syria & threats by Isis in our country crossing over the Mexican Border to attack our country. Lost our son-in-law on 9/11 North Tower 103rd fl. Cantor Fitzgerald. yesterday regarding Isis mentioning the problem is very severe. And will do something about these killers. No thanks Mr. Obama. It is not surprising he will not release the classified papers on the 9/11 attack.